You can’t miss the brightly colored lemon-lime exterior of La Paloma restaurant as you drive down El Camino in Santa Clara. It looked festive enough, I thought, and maybe a restaurant with a Mountain Dew exterior would serve me up a winning plate of nachos. There’s no logic there. I know. But I went in with my usual nacho optimism in high gear. They offer both a small order and full order of nachos at La Paloma. If you think I considered the small order for even a second, you don’t know me very well yet. The chips were fresh and awesome. Definitely seemed as if they were made in house. I was thrilled to be served up some black olives (yay!) on this nacho pile, but if only there had been more. Black olives are perhaps my favorite topping and unfortunately I’m only treated to them on less than half of my nacho endeavors. (C’mon, people! Black olives is where it’s at). There was no salsa on the nachos, but the salsa they brought with the previously served chips & salsa was good and I dipped into that as required. I missed having salsa on the nacho pile itself but to their credit, the salsa was thin and would haven’t worked well. Well played, La Paloma. The beans were refried and let me just say I’m starting to think my preference may be for whole beans, either black or pinto. These refried beans had an ok taste, but I wasn’t crazy about them. There was something in the taste I couldn’t quite place, but it wasn’t good. The closest I can describe is that they were cooking on the bottom of the pan for too long. A little burned, and a little dry = this nacho reviewer is a little disappointed. The nachos were topped with a small scoop of great guacamole – my only complaint with it was the “small” part. I wanted more. The sour cream was good too and I liked it being a single scoop on top. Don’t try to get too fancy people, simplicity is best when it comes to toppings. (Consider this a foreshadowing for my next review when the sour cream display tactic goes horribly awry in another Santa Clara restaurant). Overall, these nachos were pretty tasty and I would order them again. I give them 3 out of 5 smiling nachos. 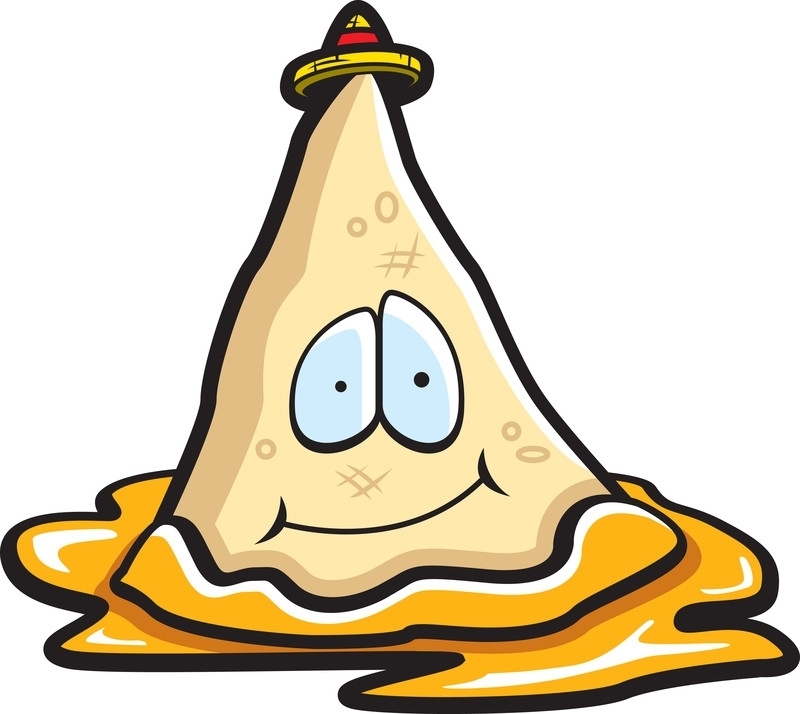 Your question for today, my faithful nacho-loving audience: what is your favorite nacho topping? 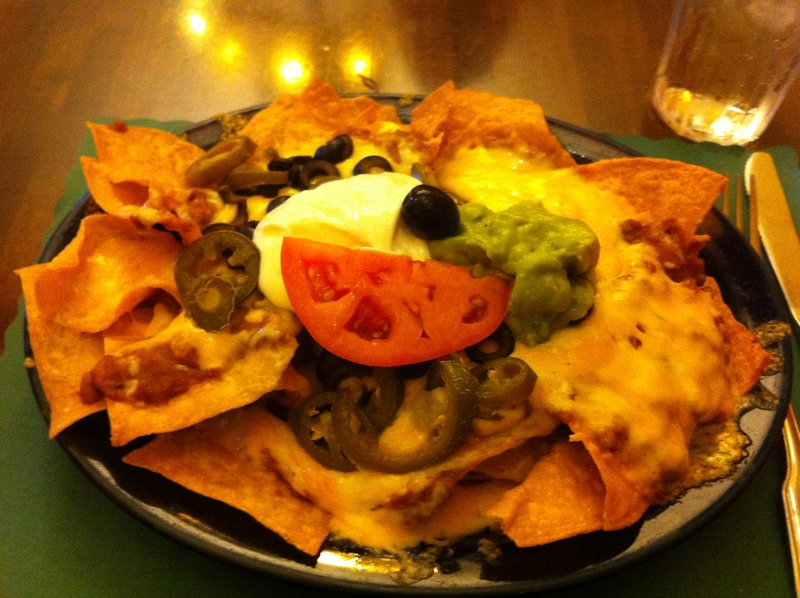 This entry was posted in Bay Area and tagged bay area, food, nachos, santa clara by nachomission. Bookmark the permalink.